Do you remember those scenes from the hindi movies – a white bed placed randomly on a beach with lots of white frills, white cushions and white curtains? Well, the moment I entered Zucca Lounge Rooftop Arena, that’s what struck me – a portion of the sitting area was designed in that fashion!! SO CHIC !! Along with other food enthusiasts, I was invited for a Food Bloggers Meet at Zucca Lounge. It’s located at southern avenue, at the far end of Vivekanada Park on the lane which has Fillers. With its strategic location, mind-blowing ambiance and great food/hookah; Zucca Lounge is invincible. I was invited on a Monday evening, and even on a weekday the lounge was bustling with people. The lounge comprises of two floors. Once you enter, you will have to take the lift to the 3rd Floor to enter the first arena. This is the closed sitting area. Everything here looks very funky, modish and chic; very pertinent for the youth of today. The stylish coffee cup shaped signboard, the gigantic projector television, the funky light bulbs, the hip posters, the colorful mocktail counter, the ceiling with luminous lights and ropes, the cabin shaped sitting area and the wooden decor gave the place a happening ambiance. We were enthusiastic about the rooftop arena and soon moved to the terrace. Everything here is in white, giving a look of perfection. The white shamiayanas with white cushions, frills and curtains looked quintessentially filmy. I personally fell in love with the shamiyanas and its white, peaceful, tranquil look. Rest of the area has bold white furniture and a big projector TV. The entire place had a very positive vibe about itself. The rooftop is worth a visit! We got seated (of course inside a shimiyana) and our foodathon begun!! #Anti-Oxidant: Sugar free concoction of Watermelon, Pineapple, and Cucumber. This red colored drink came in a small jar with few cut fruits in a toothpick for presentation. I loved the look. This drink is refreshing and best for people on a diet. # Jack Frost: An alluring looking blue colored drink. It came in a small margarita glass, with the sides coated with coconut shavings. This concoction of pineapple juice, blue curacao & cream of coconut was yuumilicious. #Zucca Classic Mojito : Zesty lime with sprite, mint leaves with a hint of lemon grass; it was refreshing to the core. This was undoubtedly then best mocktail of the evening. #Passion Fruit Mojito: Classic Virgin Mojito with Passion Fruit Syrup. It was the best drink of the evening. #Buck Nursery Fizz: It came in a tall glass, and looked pretty with its orange color. This combination of ginger ale, orange and mint was delicious, but the strongest flavor that came out of the drink was orange. #Asparagus Cappuccino: The blend of cream and asparagus was plain perfect. This soup was thick, creamy and was very delectable. This was the showstopper of the evening!! #Mushroom Veloute with roasted Garlic Butter Crouton: Mushroom is one of my favorites and the soup with was a rich concoction of cream and mushroom did full justice. I loved this soup and its rich mushroom-y flavor. This was one dish that stood out among others. #Tomato, Tarragon & Jalapeno Cream: With its mustard-y, tangy flavor this soup was marvelous. While not as thick as the others this soup definitely had its own character and was very palatable. #Classic Manchow(veg): Another classic soup. Being a common Chinese soup I had expectation from it, and it completely lived up to those expectations. This dish came with some fried noodles in a small , funky bucket. It tasted delicious. We had one veg, one non-veg salad. They were the Pesto Salad and Gado Gado Salad. While both had a lot of fresh veggies like Zuccini(yellow/green), Bell Pepper(red/yellow/green), sugar snaps & carrots , the dressing was too less and tasted slightly bland. Both the salads came with two crispy garlic bread pieces. #Zucca Style Jackpot Potato: Mexican style jacket potato stuffed with bell pepper and corn, garnished with chili cheese and olives. The cheese was of great quality and this dish was very palatable. This is a must try. #Fish tossed in Celery Salt: Coriander and lemon marinated fish with tartar mayo. Strips of well marinated fish fried with bell pepper, onion and garnished with spring onion. It tatsed nice, but was slightly oily. #Lyula Kabab: Mutton sheek kabab with pudina chatni. Personally I’m not too fond of sheek kabab so I found it okish. #Xacuti Spiced Corn Dusted Chicken: This dish was basically deep fried chicken strips. It was not atall oily and tasted yummy. #Clay pot roasted Flora: Cottage Cheese, Bharwan Aloo(minced paneer inside aloo), Cauliflower, Broccoli, Onion, Tomatoes, Padaa and Pudina Chatni came with this platter. The presentation was interesting and this dish tasted good. #Clay Post Roasted Fauna: This platter had 4 kinds of kababs: Chicken, Prawn, Lamb and Fish with pudina chatni. The quality was fish was exemplary. All the kababs tasted very delicious and were well marinated. #Creole Style Fish and Chips: Well marinated fish with fries and mayo. The pieces of fish were big, their quality was good and they were well marinated. The taste was plain delicious. This was one of the best of the evening! #Chicken Cacciatore: Grilled chicken in mushroom-pepper sauce served with mashed potatoes, garlic bread and veggies. This was a very delicious platter. The chicken pieces were big; they were well marinated and well cooked. What a great way to end! After this sumptuous meal we started clicking a lot of pictures. Well, the ambiance!! Can you blame us! I loved the versatile menu that was especially selected for the Food Bloggers Meet. I had a pleasant experience at Zucca Lounge. While the service was slightly slow, I loved the food and the ambiance. I wish them all the very best for the future. This is wow. You are growing with every blog post, literally! Thanks 🙂 .. waiting to read yours! 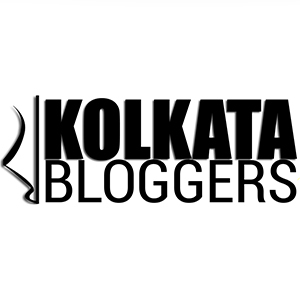 Have been to Calcutta(I still love this name) quite a number of times, though I am sure I haven’t explored half of what you have on your blog. I love the name CALCUTTA myself, it has a certain ring to itself. And do come over, Calcutta is growing everyday ! Yes. You got me 😉 I crave to be there. Love the places and the warm people. One thing I like about Calcutta is the ease at which I can commute. Hahha.. true .. compared to Bangalore communication in Calcutta is easier!! But the weather of Bangalore, unparallel .. !! Thank you SO much for following my blog. Your posts are amazing – I think I gain pounds just looking at the photos. Stay tuned for a shout out!